We are featured on the Southern Gates Jewelry Collection ad inside Southern Living Magazine! The Southern Gates Collection is a timeless collection that celebrates special times both past and present. The wonderfully intricate designs on each piece were inspired by the ornamental ironwork found throughout the country. Many of the designs came from several gates that can be found in Charleston, SC. The delicate designs once forged in iron represent a legacy that still continues. The filigree, scroll and tracery patterns found in the Southern Gates Collection are unique, yet familiar to many of us in the South. 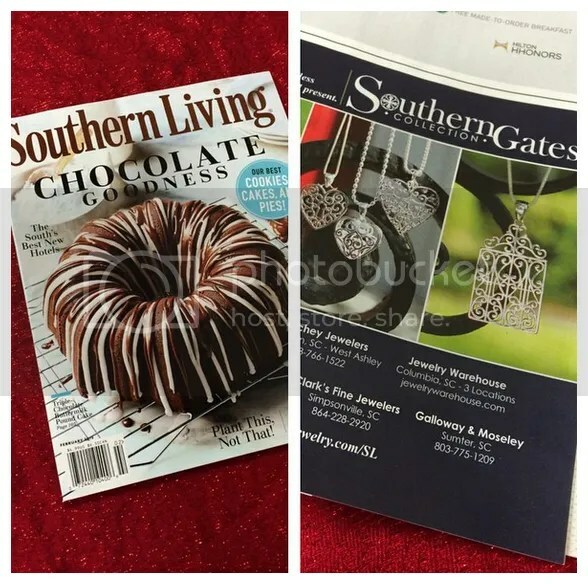 This entry was posted in Jewelry and tagged Jewelry, silver, southern gates, southern jewelry, southern living, sterling silver. Bookmark the permalink.